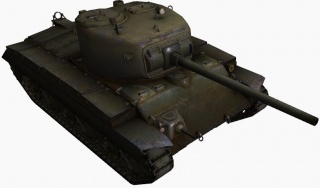 The T20 is an American tier 7 medium tank. 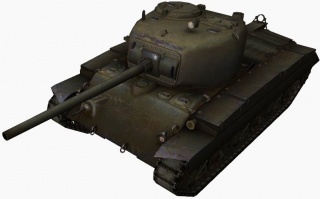 Much like the M4A3E8 Sherman, the T20 lacks significant armor. Able to sneak around the battlefield, the T20 is an excellent support tank and able to switch between engagements in very short time. Its thin armor is a serious weakness, and caution must be taken to avoid enemy fire whenever possible. Pick different strategies to match different opponents: flank heavy tanks, ambush and brawl mediums, track and destroy lights. Passive scouting is viable when other scouts are not available. The T20 leads to the M26 Pershing. The T20 is very different from the M4A3E8 Sherman Easy Eight which preceded it. They both are generally mobile, with good gun depression and have no real armor to speak of. However, the three main differences of the T20 are its inferior hull traverse, especially at speed; greater speed limits allowing for faster relocation; lower silhouette; high-alpha, high-penetrating, low rate-of-fire gun. This makes the T20's playstyle markedly different from the M4A3E8. The hull traverse is noticeably sluggish at 37 degrees per second, which does not compare favorably with the 40 degrees per second on the M4A3E8. This is increasingly noticeable when the T20 is turning at full-speed. It tends to lose speed far more rapidly than an M4A3E8 in a turn, making it less-suited to running circles around slow heavy tanks. However, it still is very capable of doing so if needed- the M4A3E8 is just better at it. 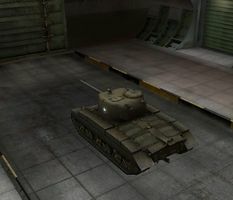 It should be noted that the turret traverse on the T20 is better, at 44 degrees per second, which compares favorably to the 39 degrees per second on the M4A3E8. 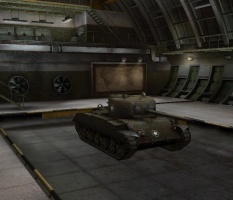 A striking difference between the two vehicles is the fact the T20 has a much smaller profile than the M4A3E8. Combined with its 10 degrees of gun depression, it can assume hull-down positions reliably at range, and is a significantly smaller target- an important factor for a medium who relies on avoiding shells. 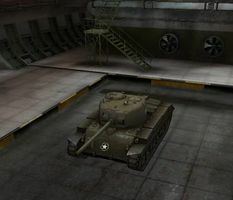 However, it lacks a significant gun mantle, and this reduces its hull-down trading performance considerably compared to the M4A3E8 for its tier. However, the biggest difference between the T20 and the M4A3E8 is the fact the T20 can receive the 90mm M3, which boasts vastly superior alpha damage, 32mm extra penetration but a very slow rate of fire. 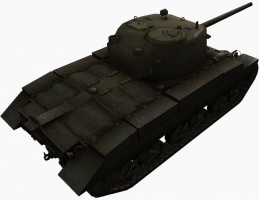 The premium HVAP ammunition allows it to punch through the fronts of IS-3 tanks with ease. The only real downside is that the reload is slow compared to other American tanks armed with the 90mm M3 and its longer-barreled derivatives. Making your shots count is vital, unlike the M4A3E8 where the high rate of fire makes up for misses. Therefore the T20 is best played with a peek-a-boom style where you pull straight out, fire, and duck behind cover after shooting. The T20 can utilize terrain very well with the high gun depression, good fire control and alpha damage means it only needs minimal exposure. Its mobility should be used to avoid enemy fire and flank enemies. 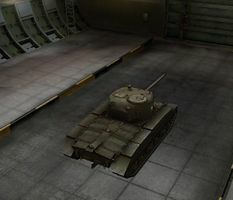 It can circle slow heavies as well, although the M4A3E8 may be better in this role as it traverses faster. Late in the game you can rely on your top speed to hunt artillery or reset the cap. Also, be aware of the excellent view range and camouflage values on this tank - you can easily see many tanks before they ever catch wind of you, so long as you remain hidden. Boasting 390m of view range, equivalent to the best of tier 6 light tanks, the T20 can be an excellent passive scouter if need be, and the camo values are great too, it having the same size as the T21, a tier 6 American light tank. Use this advantage to gain sight lines over the map and deal spotting damage as well as shots from your excellent gun. Repair skills are highly recommended and at least 2 crew should be fully trained in this. A tracked T20 will receive heavy fire and shells from artillery, so Repair skills are essential for survival. If playing as a mid-range sniper with the above-average accurate 90mm, Sixth Sense and some Camouflage skills will help greatly, allowing you to know when to relocate and hide better. If using the T20 as a flanker, Snap Shot and Smooth Ride/Off-Road Driving will reduce accuracy penalties and increase mobility even more. Once all off these skills are acquired, Brother in Arms is recommended which will increase every desirable stat on your tank even more. The T20, like many American vehicles, is a versatile vehicle which can be used as a sniper or a flanker. Regardless of setup, a Gun Rammer is a necessity, since the T20 has the slowest reload time of all American tanks with the Gun 90mm M3 and derivatives, excluding the time it takes a T69's autoloader to reload. However, the other two slots are up to your own choosing. Flankers can opt for a Vertical Stabilizer and Coated Optics for optimal accuracy on the move. Snipers can opt for Enhanced Gun Laying Drive, Camouflage Nets, and Binocular Telescopes or Coated Optics. Alternatively Vents are viable option for an overall boost to crew abilities. Overall, the T20 is a great asset and threat when played correctly, and should not be underestimated. 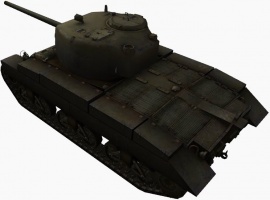 Considered by many as the best tier 7 medium for good reason, it possesses many of the strengths one desires from a medium tank and can be a pleasure to play. Now research the second turret, and then the 90mm gun. (Even if you don't intend to use the 90 mm gun on the T20, it is vitally important to unlock it now, because you will need it on the Pershing. Neither the 105 mm M4 nor 90 mm M3 guns were ever developed for the T20. The 90 mm was mounted on the T25 but in a Pershing turret. Two of its historical armaments, a 75 mm M3 autoloader and 3-inch M7 gun, are missing. Both were planned but never constructed. This page was last modified on 28 April 2018, at 21:17. This page has been accessed 438,491 times.